Santa Rosa, CA – (March 25, 2015) – Summit State Bank (NASDAQ: SSBI) delivered 144 donation checks so far this year totaling more than $245,000 or 4% of its net profit after taxes to its nonprofit customers through its Nonprofit Partner Donation Program. Summit’s Nonprofit Partner Donation Program provides an annual cash donation to its nonprofit customers based on average annual account balances. This donation is above and beyond normal community giving, sponsorships and volunteering Summit provides during the year. “We are very proud of the relationships we have built with our Nonprofit Partners, and as we continue to build our community by supporting our growing commercial customer base, it enables us to sustain and strengthen our ability to increase our donations and support to our community’s nonprofits,” said Tom Duryea, President and CEO. Recipients include: Community Child Care Council of Sonoma County, Friend’s House, Giant Steps, Healthcare Foundation Northern Sonoma County, PEP Housing, Petaluma Health Center, Santa Rosa Community Health Centers and Valley of the Moon Children’s Foundation. Summit State Bank has total assets of $460 million and total equity of $68 million at December 31, 2014. 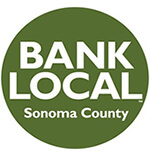 Headquartered in Sonoma County, the Bank provides diverse financial products and services throughout Sonoma, Napa, San Francisco, and Marin Counties. Summit has been recognized as one of the Top 75 Corporate Philanthropists in the Bay Area by the San Francisco Business Times and Top Corporate Philanthropist by the North Bay Business Journal. In addition, Summit State Bank received the 2013 Rising Star Award from the California Independent Bankers, the 2012 Community Bank Award from the American Bankers Association for its nonprofit work, and has been recognized as one of the North Bay’s Best Places to Work by the North Bay Business Journal. 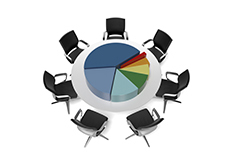 Summit has also been consistently recognized as a high performing bank by Findley Reports. Summit State Bank’s stock is traded on the Nasdaq Global Market under the symbol SSBI. Further information can be found at www.summitstatebank.com.